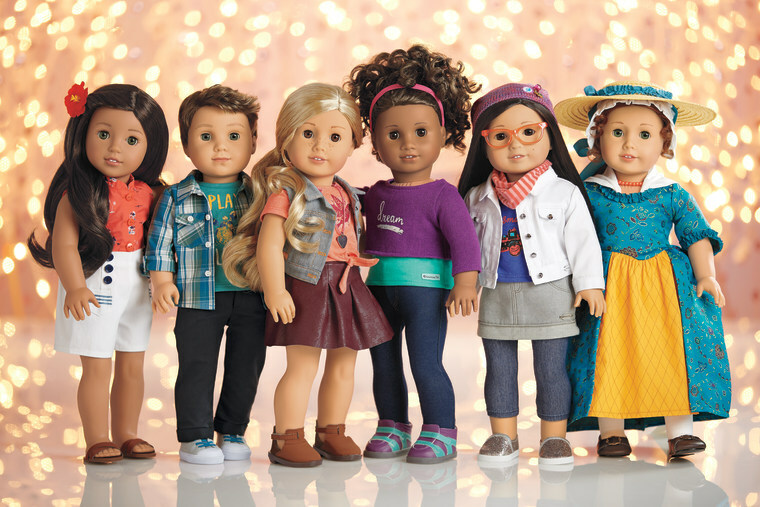 The newest American Girl dolls highlight diverse stories. “[S]ince American Girl characters and stories help build self-confidence, inspire creativity, and give girls a broader understanding of the world—we now have even more for parents like you to love too,” the company said in a statement. Z. Yang, the new Korean-American character, is described as a “an imaginative filmmaker” who uses her creative talents to connect with the people around her. “[H]er stories remind girls that everyone has a unique perspective to share—even if it’s not perfect,” the site reads. She is expected to be released this spring. Gabriela McBride, the company’s newest African-American character, was designated American Girl’s “Girl of the Year.” A modern day girl, Gabriela often turns to poetry to express herself because she has a stutter. “poetry helps her words flow more freely,” the description for her first book notes. "We do an enormous amount of research with girls and their parents,” Julie Parks, a spokesperson for American Girl, told TODAY. “The one thing we’ve heard loud and clear is a desire for more — specifically more characters and stories from today — with more experiences, more diversity, and more interests."